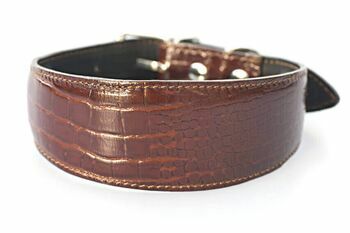 Simple and stylish hound collar in dark brown made from 100% leather imitating crocodile pattern. 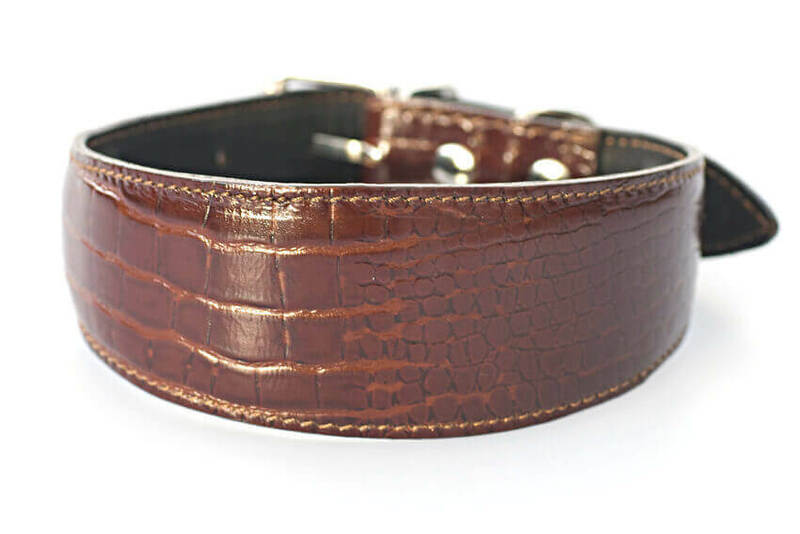 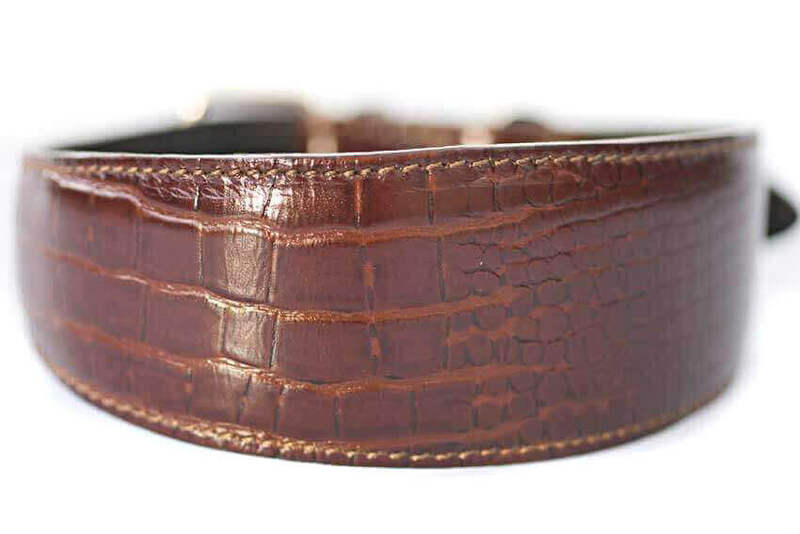 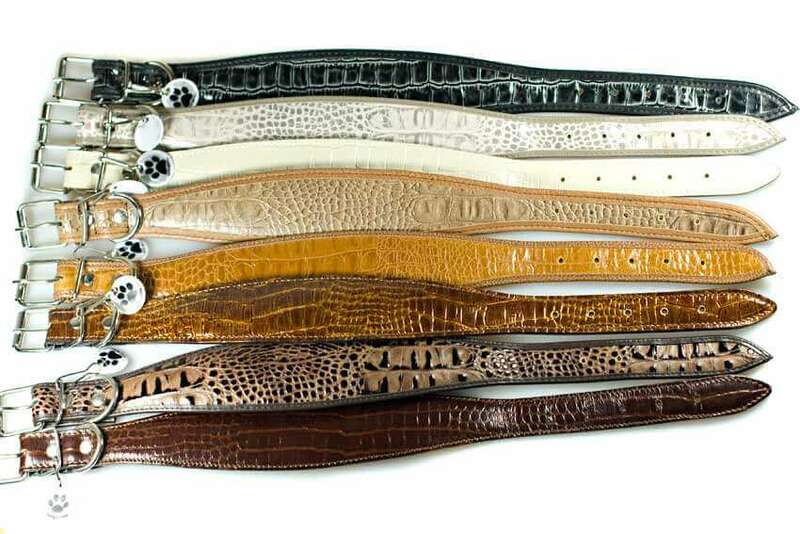 This dark brown crocodile hound collar is padded and fully lined with soft black goatskin leather. 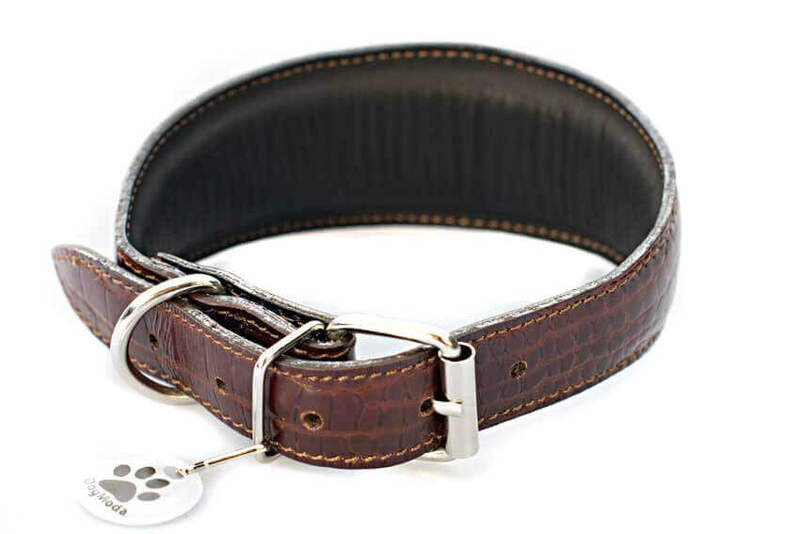 Great everyday collar which looks good on most hounds.